The attack is a straight Karate Punch, from the ready position, one foot away. The defense is a Ninja jump into the air with a complete 360 spin with a heel kick on the end of it. I actually saw this self defense technique offered in a basic ninjitsu course. Guy was serious, too. And, he actually made it work. Of course, he had trained it specifically for ten years, and he was working with his own man. But, hey…why wouldn’t it work for a newbie with no athletic experience? Eh? So, to explain the problems here, in the real world a straight karate punch, driven from the ready position, and not back from the hip, only has a foot to go before it impacts. And the ninja student is expected to raise his body three feet in the air, spin it in a complete circle, and drive a heel against the side of the attacker’s head. Let’s see, move one foot, one a straight line, with everything perfectly in line and ready to go, or do a circus trick with an advanced kick on the end. The correct thing to do would be to move back with the hands up in the ready position. Even better if you put the palms out like you want no fight. Then, even if he starts close, you are moving your body in the same direction as the punch, thus going with the punch, thus robbing the punch of impact. And, having the hands up you might be able to move an arm in the way, deflect the punch, or at least mush it up so you don’t take the full force. And, finally, that leaves you in a position to counter attack. Look, I’m not saying ninjitsu is bad, I have the utmost respect for that fine art. But I do have a problem with martial arts instructors who don’t look at the realities of what they are teaching, or, worse, are just teaching the razzle dazzle so they can make some money. It’s great to make money, but you better offer the real goods, and the martial arts aren’t about leaching bucks out of newbies with a sincere desire to learn, they are about delivering the goods. 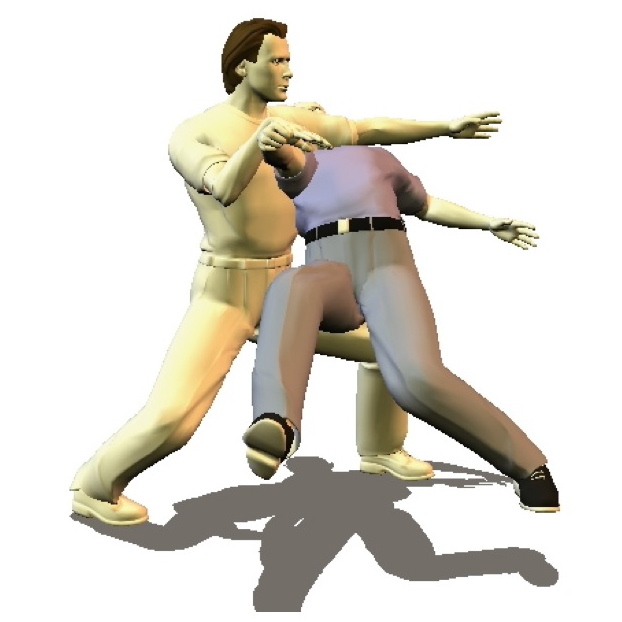 Remember that when somebody sets up to throw a karate punch to your person, and stay away from Ninja Jump Spin Kick Solutions. 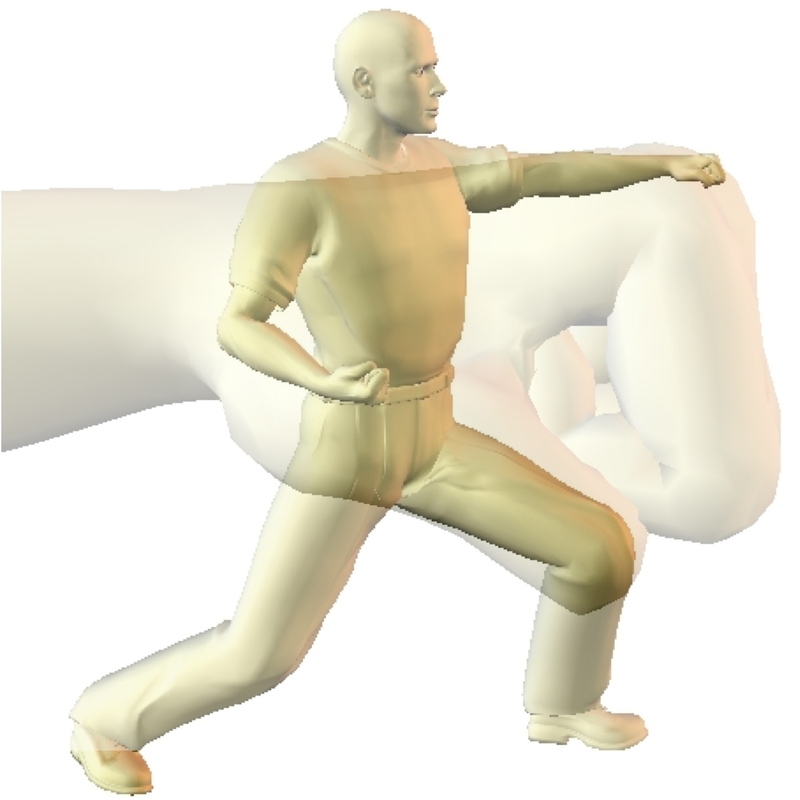 If you want more good martial arts, head on over to Learn Karate Online. You can get free Karate lessons there, and you’ll be on the right path.